From day after tomorrow onwards, there will be an event exhibition in Isetan Shinjuku store. It is an event featuring the traditional arts that are modern but in some ways still traditional. 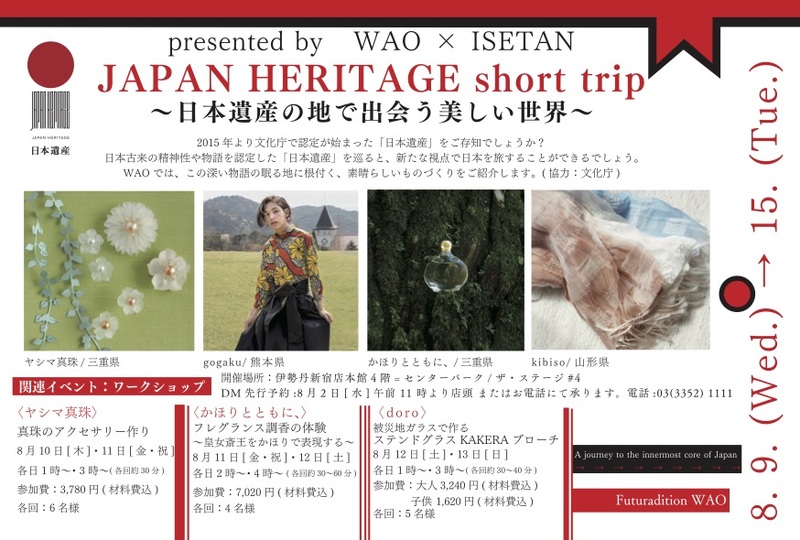 Name of the exhibition: Japanese Heritage Short trip ~ On the land of Japanese heritage meeting the beautiful world. However, the same concept can be applied on non-living objects. Isn’t it? Having that experience it contribute to the excitement of shopping. Isn’t it? However, I have been realize the value of such things recently. This time, MIKAI BAMBOO is going to showcase their bangles in the hope that it would be easy to mix and match. It would be our pleasure if you could enjoy and go out with a refreshing feeling by using our bangles. Copyright © 2016 MIKAI BAMBOO All Right Reserved.